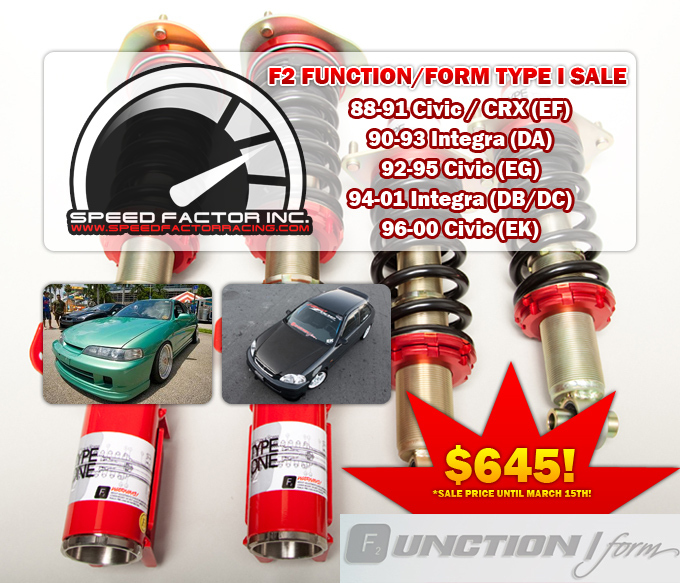 You are currently browsing the Speed Factor Racing blog archives for February, 2011. 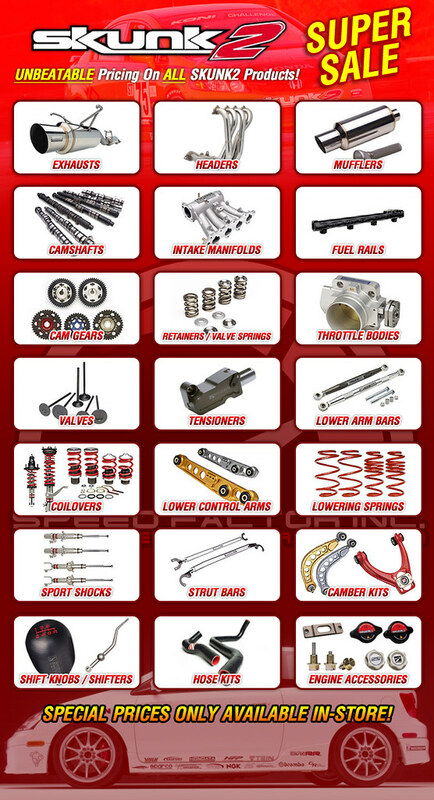 With such a strong demand in Skunk2 products for Honda/Acuras, we’re running a short time promotion on ALL SKUNK2 Products! We’re giving extremely deep discounts on all items both in stock and special order. Due to our VERY competitive pricing with this promotion, we are only giving prices in-store at the moment. 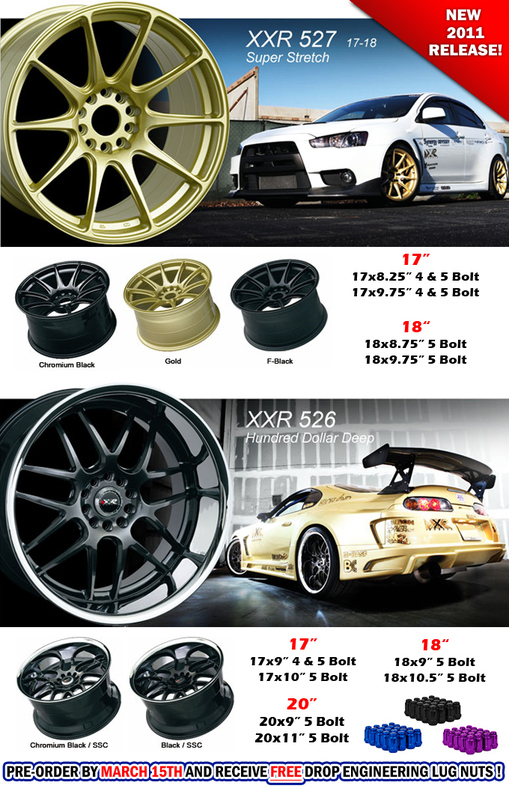 XXR has released two new wheels for this upcoming season. 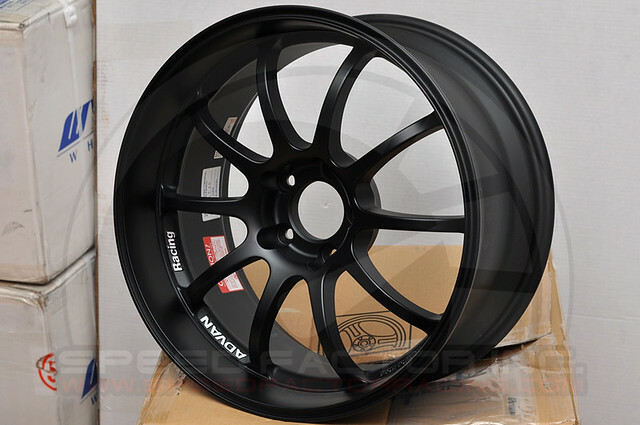 The first wheel, the 527, promotes a deep concave design that is an original design to XXR. The second wheel wheel, the 526, offers a large and deep polished lip. 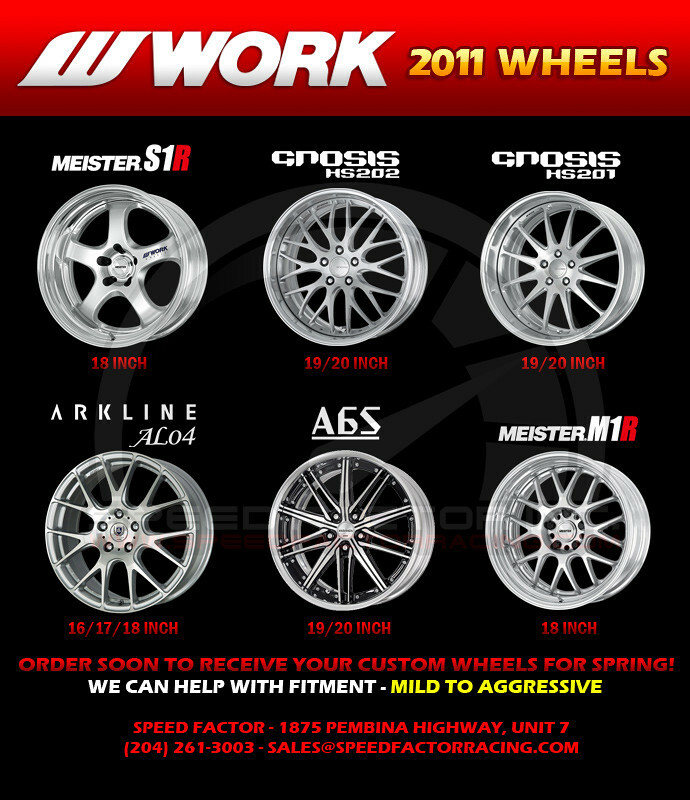 We are taking pre-orders for these two wheels AND will be throwing in free Drop Engineering Lug nuts at no additional charge with every order.